The end of last week marked a heart-crushing milestone in our lives. Within 24 hours, we lost both our beloved greyhounds Charlotte and Sophie. There are no words for the gaping hole in our family their loss has created, coming a week after we lost our 19-year-old kitty, Pookie, and less than two months after the death of my father. In our heads, we know these beings won’t live as long as we do, but we bring them into our lives and love them anyway, accepting that our hearts will break when they leave. We had our girls for over 10 years. Sophie was 14 1/2 and Charlotte 13, long lives for greyhounds. While Sophie’s passing was expected given her deteriorating health, Charlotte’s was sudden and unexpected. An animal intuitive I know told me that it was clear the two of them were very bonded. They helped to complete each other. Sophie was often very shy around strangers, while Charlotte was outgoing and effervescent with happiness. Even still, it’s apparently rare when animals decide to pass together. Typically, Charlotte always had to be the first dog out the back door, so it makes sense that she went first, waiting on the other side for Sophie. Although we find it difficult to breathe in the wake of their loss, I think they knew we’d be o.k……eventually, and we don’t regret a single minute we spent with them. They enriched our lives immeasurably. 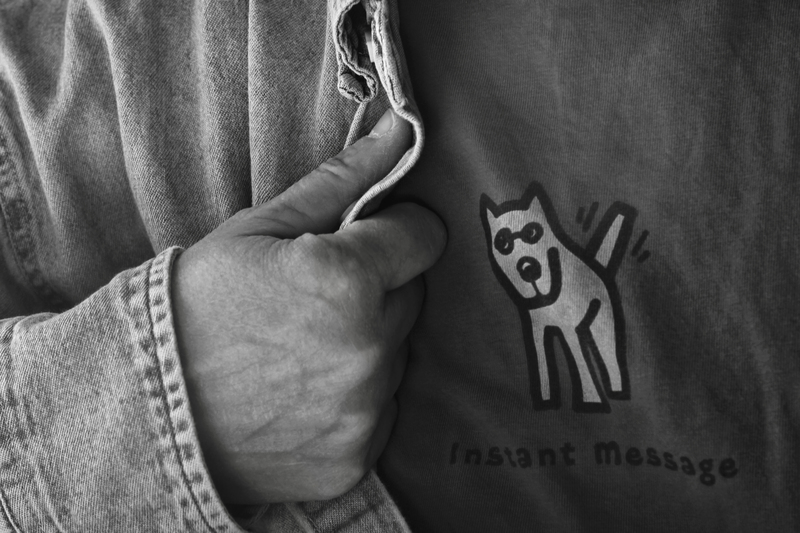 One of my favorite t-shirts from the Life Is Good company. When one has greyhounds, though, those long, wagging tails can knock things off of end tables, coffee tables…..etc. 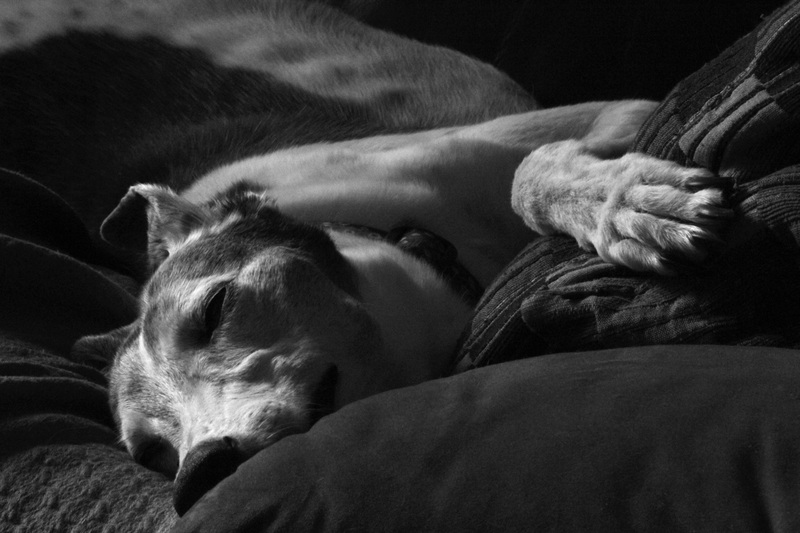 In honor of World Galgo Day…..here is my Sophie. Sophie is not a galgo, but an ex-racing greyhound (galgos are Spanish greyhounds). 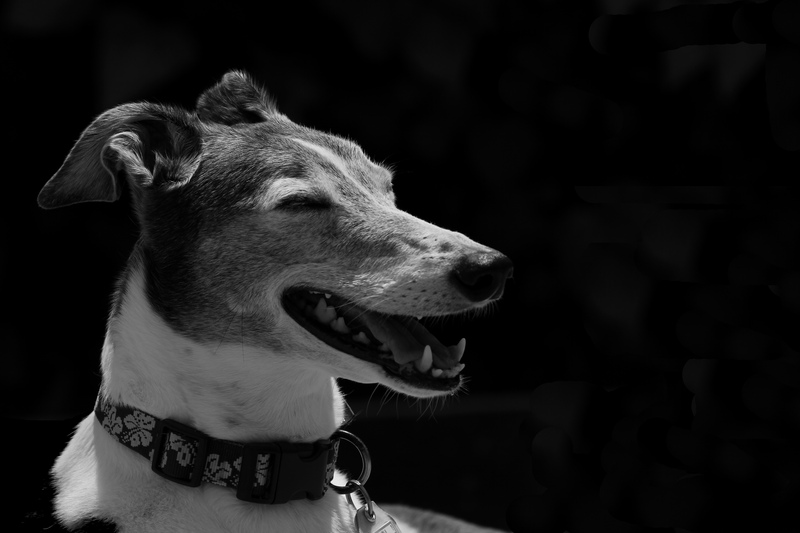 The racing dogs don’t experience the horrors the galgos do, and I admire organizations like Galgos Del Sol for the brave, amazing work that they do on behalf of the galgos. On their website, they explain the plight of the galgos and what interested people can do to help their cause. They’ve brought abused dogs back from the brink of death with sheer will and compassion, along with the donations they get to provide much needed veterinary help. Their unflagging dedication to end the cruelty is incredible, and they’ve placed rescued galgos into forever homes in many countries other than Spain, including the U.S.. Eight years ago, my greyhounds, Sophie and Charlotte, made the transition from the track to the sofa, where they happily remain. They’re affectionate, intelligent beings, and we’re blessed to have them in our lives. Eight years ago, we adopted two ex-racing greyhounds. 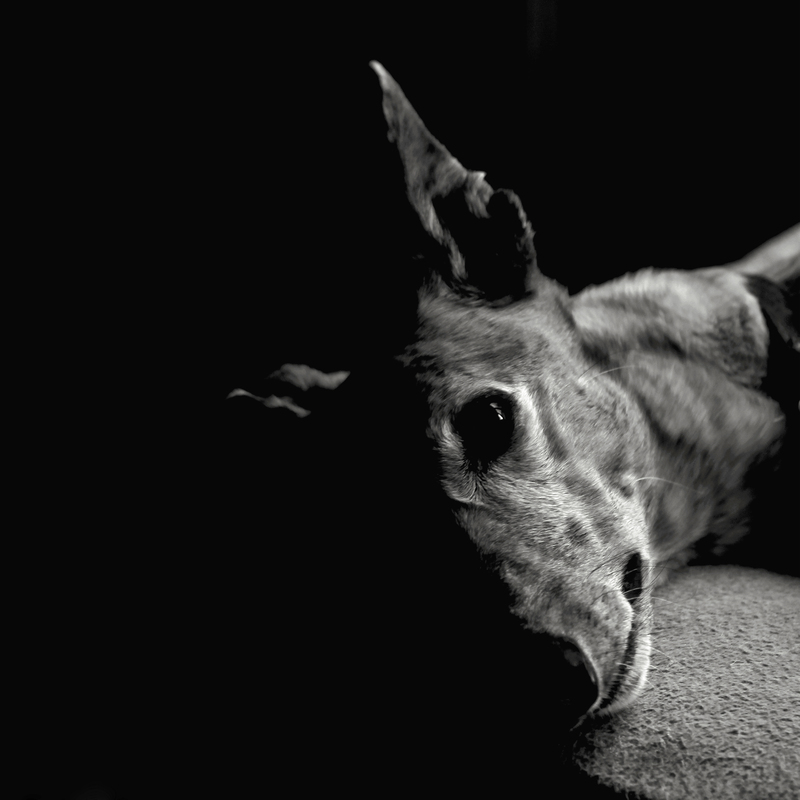 Sophie, our first greyhound, was two-and-a-half, extremely shy, and spent her first couple months with us in a fetal position. She wouldn’t eat unless we left the room. She’d tremble violently when she was around people she didn’t know, but she slowly started getting used to us. 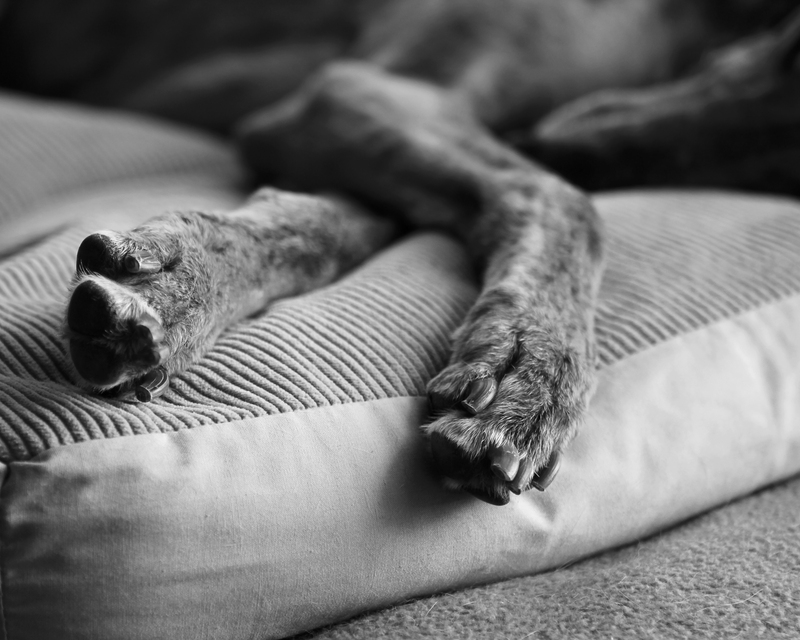 When we took her to a greyhound fundraiser, thinking she’d like being around other greyhounds, we met Charlotte, a year-and-a-half and just off the track with a broken foot. Charlotte’s exuberance was a sharp contrast with Sophie’s nearly pathological introversion, but Sophie felt an immediate bond with Charlotte, which she demonstrated by draping her neck over Charlotte’s neck in a neck-to-neck hug. We knew we had to adopt Charlotte. Six months later, her broken foot healed, Charlotte came to live with us and taught Sophie how to be a dog, how to play, how to be happy, how to enjoy naps on the sofa, and how to trust a few humans. When Sophie was lost 4 years ago (the gardeners left the gate to the yard open and we searched for Sophie for two agonizing weeks before we found her), Charlotte was always part of the effort to find her and happy when she was reunited with our family. 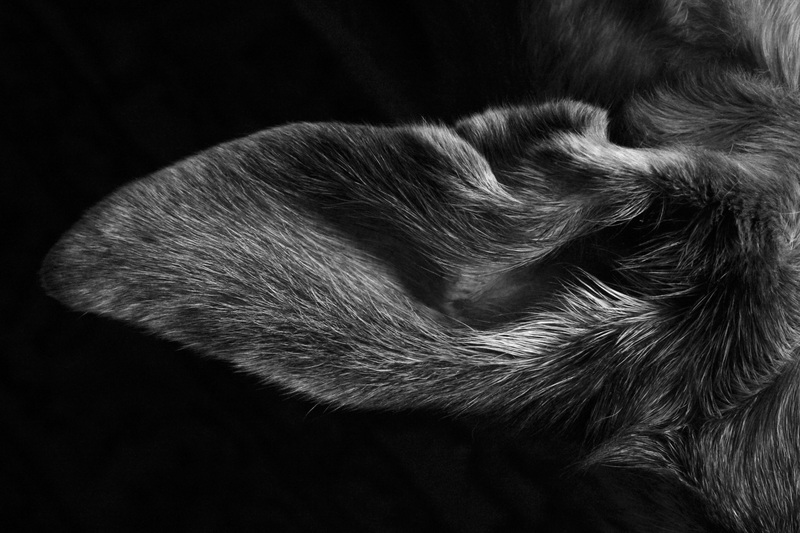 They are a continuous, wonderful part of our lives beyond being frequent subjects for my photography. 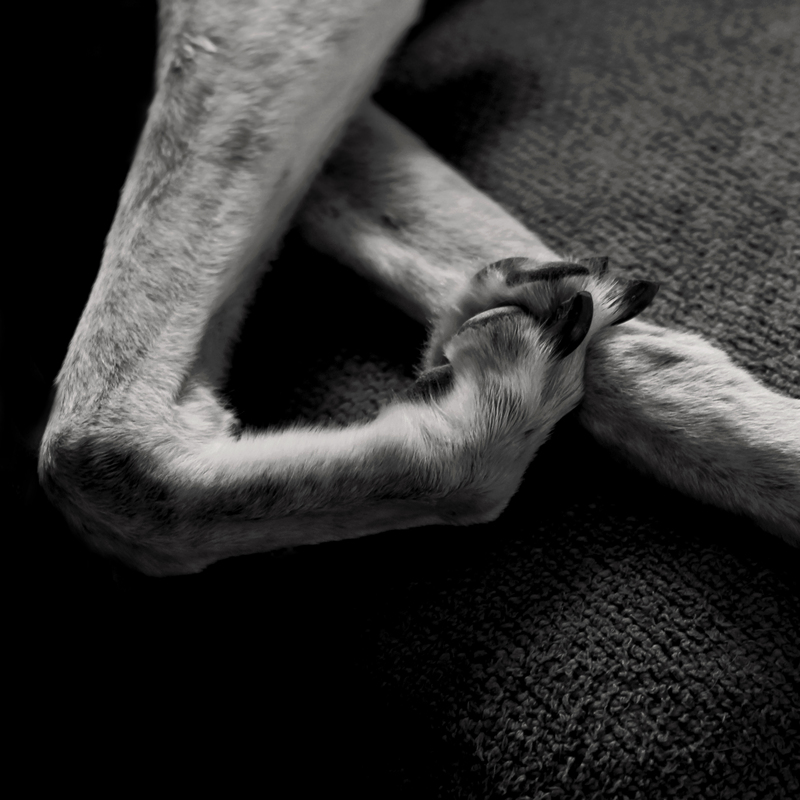 They are our greyhound girls, our hounds of the heart, our family. On Christmas Eve, we found out Sophie has lymphoma, and a week later, the lab results from the lump on Charlotte’s head indicated she has sarcoma, after having had a malignant melanoma removed from her chest two months ago. Needless to say, we were reeling from this awful news. We’re getting them the treatments they need to fight this, combining both traditional protocols with alternative approaches. And then we take it a day at a time. A friend with greyhounds who has been through this said to try and stay calm around the girls so they’re not stressing out like their humans. I try. I’m not sure I’m that good at compartmentalization, even though I understand what my friend means. But the hounds know. They follow me around the house, having to be in whatever room I’m in. So we continue going for walks, we continue showering them with love and treats. Ultimately all time is borrowed time….for all of us, which the head may acknowledge, but never the heart.